Cute, Classic, bungalow in the Heart of Crescent Hill. The expansive front porch will help you feel right at home! The bright, formal living room with fireplace and gorgeous hardwood floors invites one to sit down and relax! The home is full of natural light and is amplified by replacement windows throughout. The formal dining room with lovely big window is spacious and has ample room for all your dining needs. The cute kitchen is very serene and features updated appliances which remain. 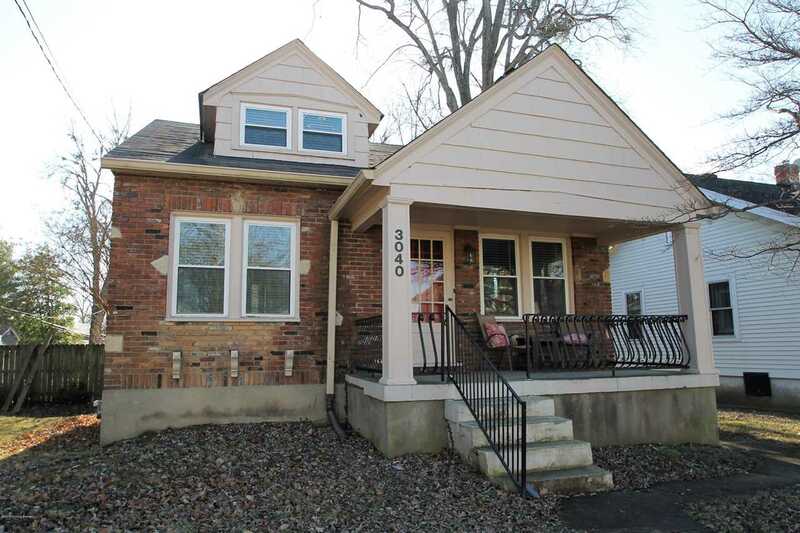 The two first floor bedrooms are roomy and feature beautiful hardwood floors, also. Upstairs you'll find an elegant, bright updated master bedroom with the perfect space for a reading nook. The additional half bathroom upstairs adds convenience to this open, airy space. The full, unfinished basement with laundry area will be perfect for more storage. This location makes it easy to truly appreciate the Fabulous Frankfort Ave., Lexington Road, the incredible parks and the gorgeous Waterfront. The convenience to downtown, Interstates and shopping makes this darling home a must see! Hurry! Lot Size: 0.14 Acres / 6345 Sq. Ft.
SchoolsClick map icons below to view information for schools near 3040 Wentworth Ave Louisville, KY 40206.